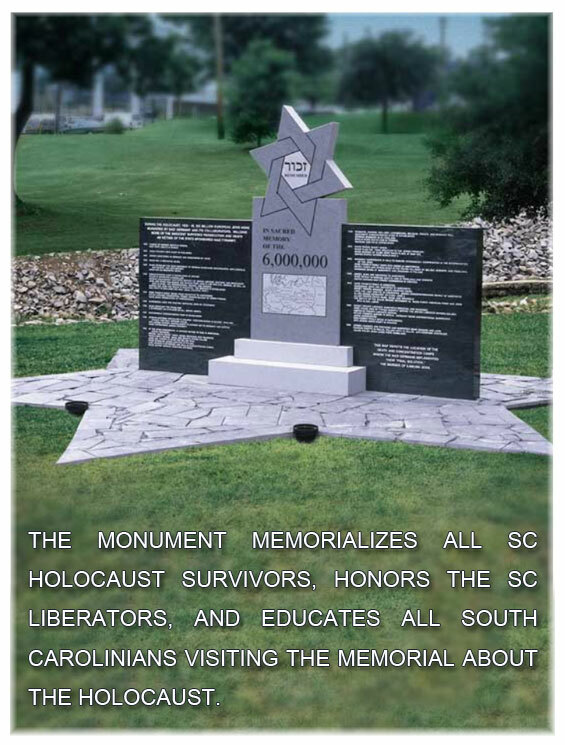 The monument memorializes all SC Holocaust survivors, honors the SC liberators, and educates all South Carolinians visiting the memorial about the Holocaust. The Columbia Holocaust Memorial Monument was unveiled and dedicated on June 6, 2001, the 57th anniversary of D-Day. The Monument memorializes South Carolina Holocaust survivors, liberators, and those who perished. The Monument is located in Columbia's Memorial Park in downtown Columbia on four acres of land. The property is bordered by Hampton, Gadsden , Washington and Wayne Streets and is one block south of Finlay Park.